Табак MUSTHAVE (МАСТХЭВ) MUSTHAVE (МАСТХЭВ) 25 гр. MUSTHAVE (МАСТХЭВ) Apple Drops, 25 гр. MUSTHAVE (МАСТХЭВ) Barberry Candy, 25 гр. MUSTHAVE (МАСТХЭВ) Black Currant, 25 гр. MUSTHAVE (МАСТХЭВ) Blueberry, 25 гр. MUSTHAVE (МАСТХЭВ) Cherry Cola, 25 гр. MUSTHAVE (МАСТХЭВ) Choco Mint, 25 гр. MUSTHAVE (МАСТХЭВ) Cinnamon, 25 гр. MUSTHAVE (МАСТХЭВ) Forest Berries, 25 гр. MUSTHAVE (МАСТХЭВ) Grapefruit, 25 гр. 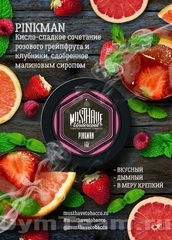 MUSTHAVE (МАСТХЭВ) Kiwi Smoothie, 25 гр. MUSTHAVE (МАСТХЭВ) Lemon Lime, 25 гр. MUSTHAVE (МАСТХЭВ) Mango Sling, 25 гр. MUSTHAVE (МАСТХЭВ) Masala Tea, 25 гр. 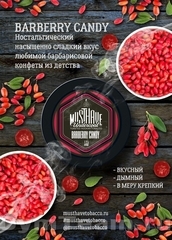 MUSTHAVE (МАСТХЭВ) Mulled Wine, 25 гр. 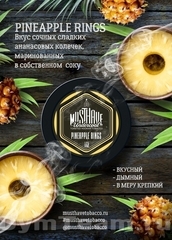 MUSTHAVE (МАСТХЭВ) Pineapple Rings, 25 гр. MUSTHAVE (МАСТХЭВ) Pinkman, 25 гр. 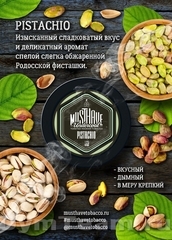 MUSTHAVE (МАСТХЭВ) Pistachio, 25 гр. MUSTHAVE (МАСТХЭВ) Red Bomb, 25 гр.